"For decades this population was ravaged by poachers and the species almost disappeared." Every kind of sea turtle is under threat because people hunt them for their shells and meat, and steal eggs from their nests. Some species were almost poached to extinction until people started taking great efforts to protect them. 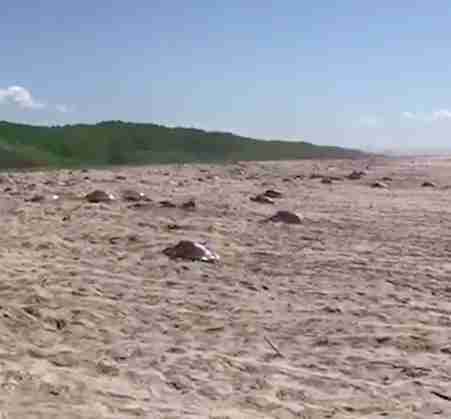 Kemp's ridley sea turtles nest almost exclusively on a beach along Mexico's Gulf coast, Rancho Nuevo. 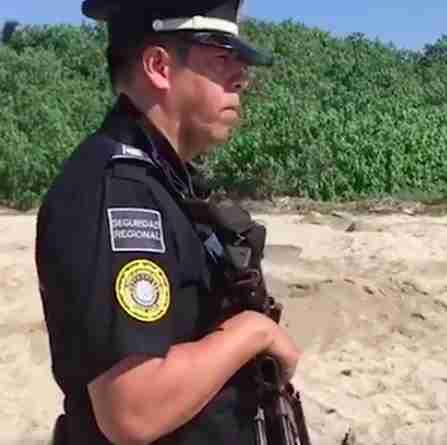 And a video showing a devoted armed guard standing watch over their special nests has gone viral. "For decades this population was ravaged by poachers and the species almost disappeared," David Godfrey, executive director of the Sea Turtle Conservancy, told The Dodo. "International conservation efforts since the 70s involving Mexico and the U.S. have helped slowly grow the population." 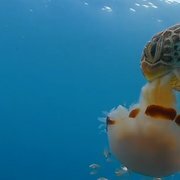 Godfrey cautioned that the fascinating species, which is one of only two species of sea turtles to nest in a large group called an arribada, still isn't totally spared from poaching. Kemp's ridley sea turtles gather together in a mass just offshore and then emerge from the sea together to make their nests, a fascinating vision that must be a major perk of the guard's job. "There is still pressure from poaching, but not nearly as much because of the near year-round presence of biologists and organizations monitoring the nesting and protecting nests — and of course the armed police security helps, too," Godfrey said. "Because of these sustained conservation efforts, Kemp’s ridley nesting set a new record this year." You can also help protect endangered sea turtles by getting involved with the Sea Turtle Conservancy.